Inspired by Scandi elements, Swedish-founded design studio Cate & Nelson created Wes, a 3 seater sofa with style. The name was inspired by their favourite director, Wes Anderson. Now based in London, the designers wanted to create a luxuriously comfortable sofa with Scandi elements inspired by their roots. They went through various prototypes to come up with the L-shaped cushions - perfect for snuggling. Constructed with a metal frame and legs for Nordic minimalism and sturdiness. 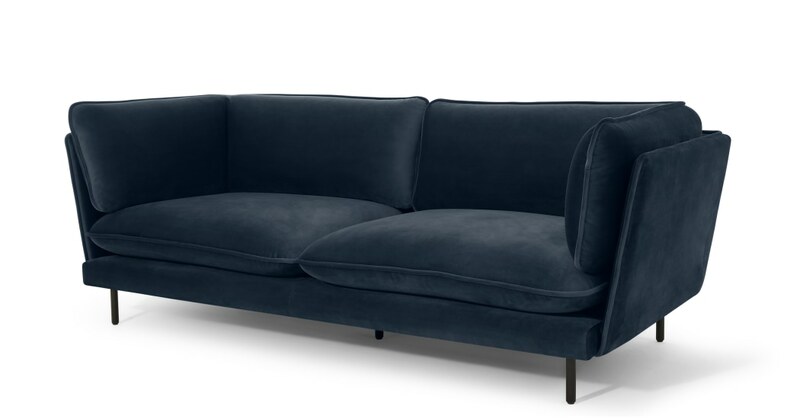 Wes is upholstered in sapphire blue velvet, giving its slightly angled shape and deep set seat a luxurious feel. 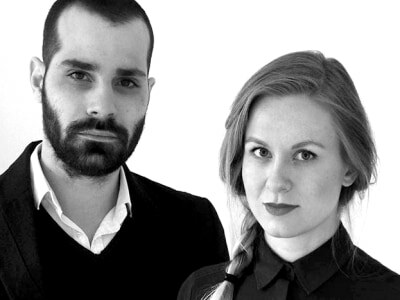 Founded in Sweden in 2006, Cate & Nelson’s creations are as authentically Nordic as you can get. They’ve since set up base in London with offices in Spain, incorporating elements of their travels into their designs.